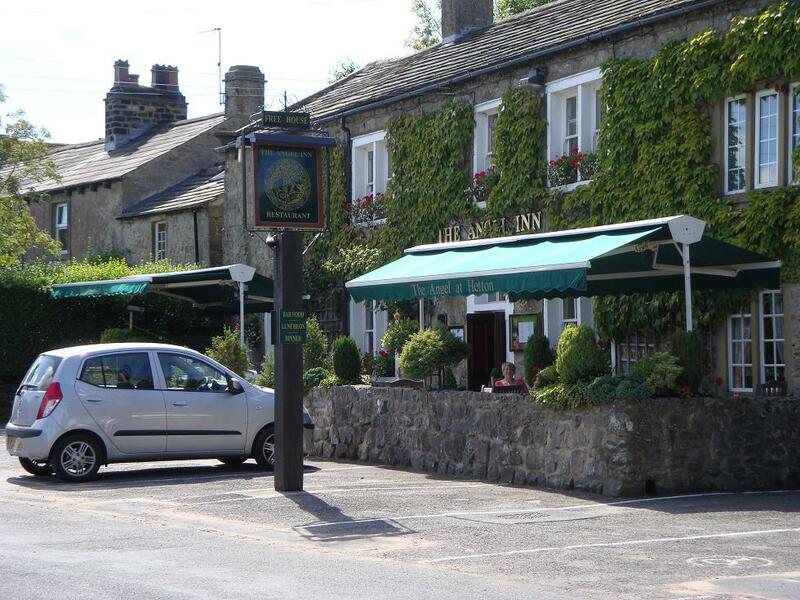 My favourite gastro-pub in the whole wide world is situated in the Yorkshire Dales near Skipdale (for Emmerdale fans that is just a few miles from Hotton). Back in the real world, Hetton village is a mere cockstride from Rylstone, famous for bra-less jam-makers. Beans on toast. One of life’s staple meals. So simple, so healthy, so cheap, so erm, studenty? Of course there are only two types of baked bean, Heinz and shite. And there are only two types of toast, the type that sets my smoke alarm off, and the type that is undercooked and flabby. The absolute secret to beans on is to make sure the toast is as crispy as possible before you soggify it with the beans. Also helps if you cook the beans over a low heat for a decent amount of time to reduce the sauce. So sitting in the flat to the tuneful, albeit duotonous, harmonies of Manchester Fire Brigade’s finest, my mind inevitably wanders. 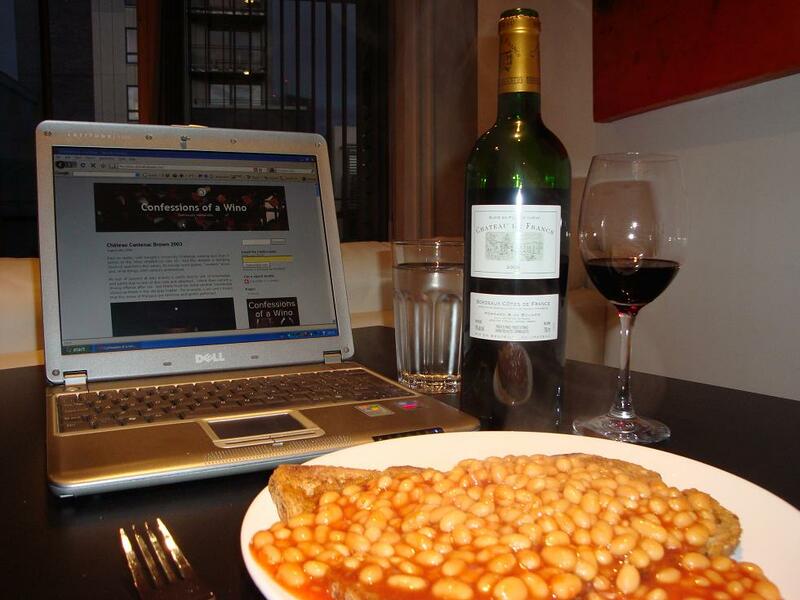 My challenge over the last couple of years has been to find the perfect wine match for this honourable meal, and I think I may have just succeeded in Spades. Back to reality, with tonight’s University Challenge yielding less than 5 points to the Wino intellect (or lack of). And this despite a dumbing down of questions this series, to include word games, “modern” music and, of all things, 20th century architecture. My lack of success at quiz events is partly due to lack of knowledge, and partly due to lack of due care and attention. I think they named a driving offence after me. But there must be some random knowledge stored up there in the old grey matter. 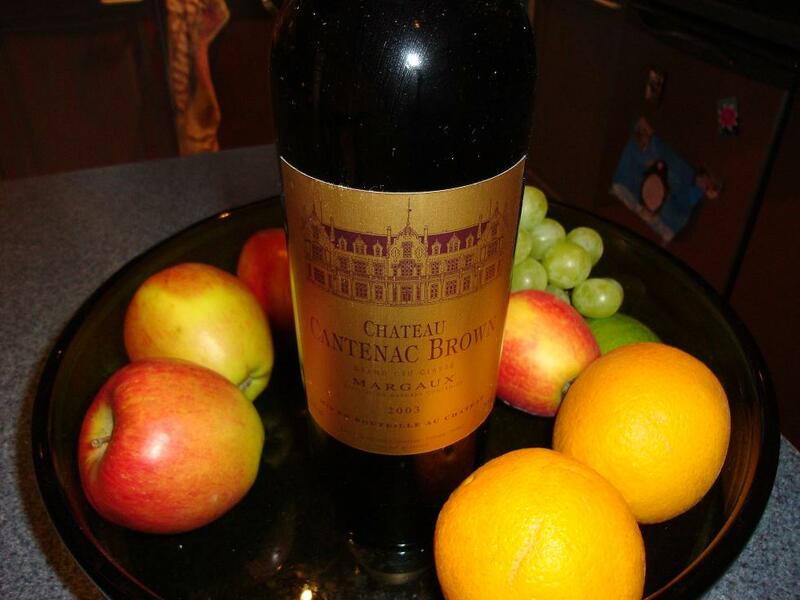 For example, I am sure I heard that the wines of Margaux are feminine and gently perfumed. None of the above. Just my thoughts on the first 2005 Gevrey Chambertin I can remember tasting. 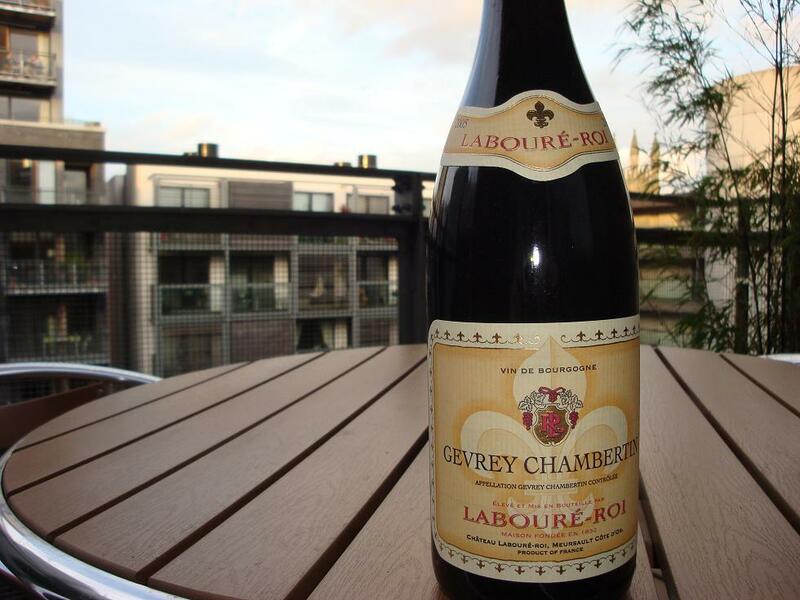 This Gevrey is top notch for a mere £20.99 from the Sunday Times Wine Club. OK, that is far from cheap but I think it is worth it. Bright as a button with forest fruits, hay and meringue, it is a veritable farmyard pavlova. Some stories go on and on. I suppose you cannot blame people for desperately trying to wring every last sou from their fifteen minutes of fame but I had to smile when I read that Peter André has signed up for a cook book. I try very hard not to overuse exclamation marks, the vulgar back street Pot Noodle of punctuation. But WTF!!!!!!!!!!!!!!!!!!! Perhaps we can look forward to digesting “101 recipes for over-ripe melons”? Langan’s Brasserie has been around as long as I can remember. Certainly it has endured more than its fair share of Andy Warhol’s allocation and draws good and bad reviews. But generally I find it very well patronised for a place that by many estimations is several eons out of fashion. A bit of renewed interest (and support) in my campaign to get wines served at the right temperature but I fear I am fighting a losing battle. 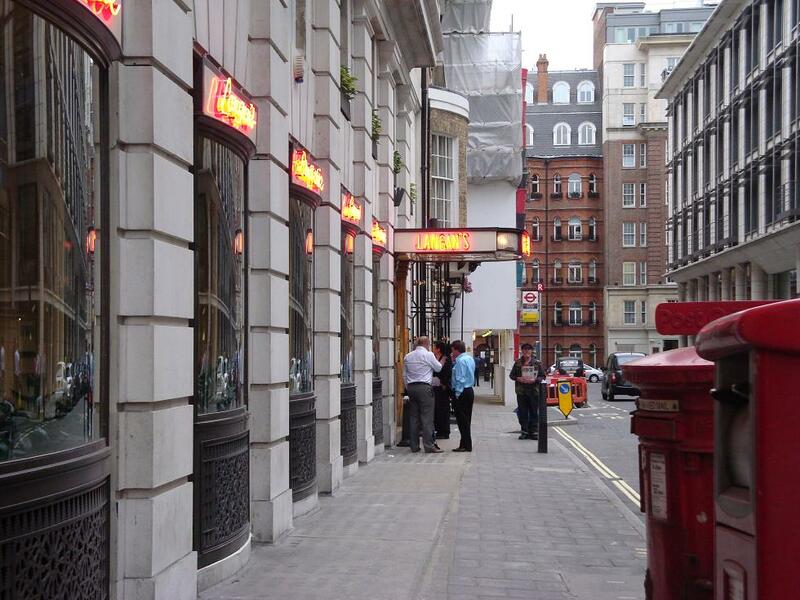 I dined at Fino last week, an upmarket tapas place on Charlotte Street, London. I ordered a bottle of Crianza and asked what temperature it would be served at. The Spanish waiter handed me a bottle from the shelf behind that was about 25°C. 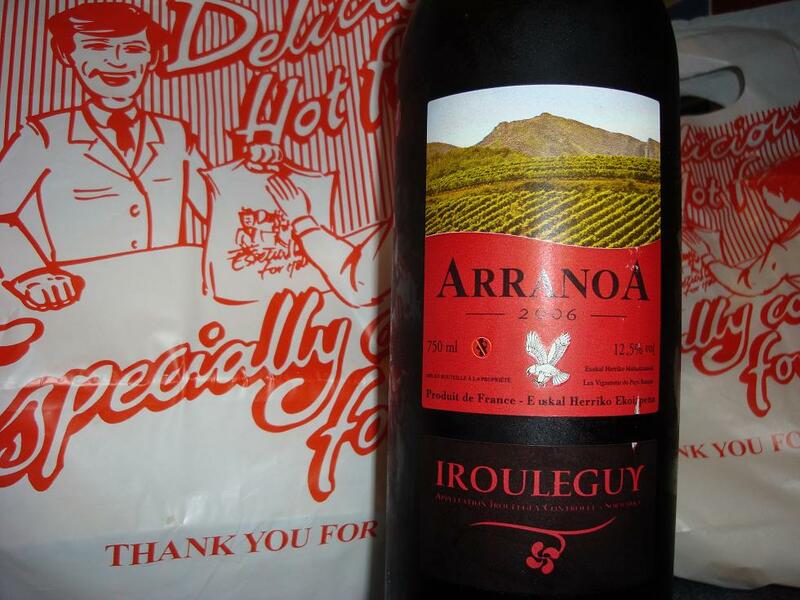 I volunteered that the people of La Rioja would never serve it so warm and was met with a resigned shrug. “The customers complain if we serve it at the recommended temperature”. Similar conversations I have had in numerous restaurants across the country always fall into two categories. The first is the Fino example where the waiter points to the ignorance of the British public. The second is where the waiter is one of the ignorami. On more than one occasion I have been told that I cannot have an ice bucket for my red wine. We Brits have it so drilled into our psyche that red wine should be tropical and white wine arctic that I wonder if we will ever change. You might ask who the hell I am to determine what temperature a wine should be served at and people should drink to personal taste. I totally agree with that, but it is not me who makes the suggestion, it is the person who made the wine and by listening to them, I have much improved my enjoyment of wine. Furthermore, almost everyone I have forced to try a red in the teens rather than twenties has considered it a revelation. 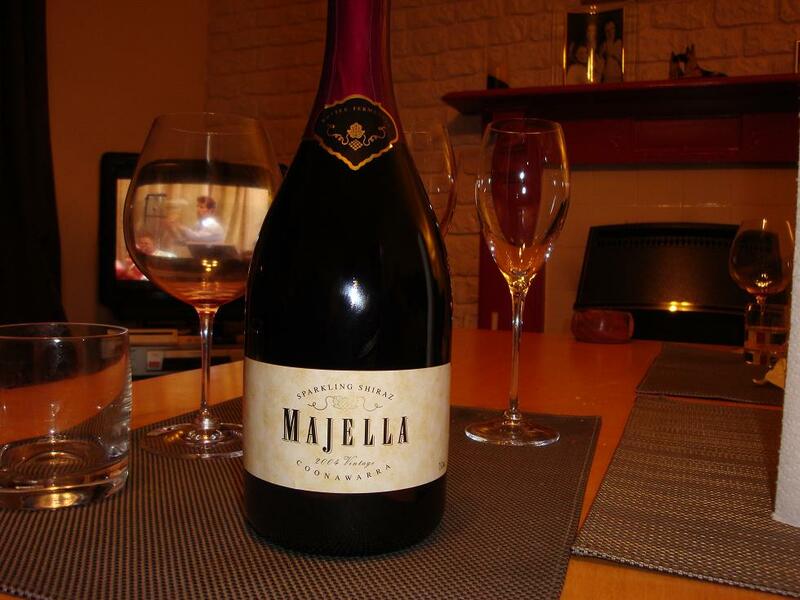 It is a shame to spend so much money on wine and not get maximum enjoyment out of it. But live and let live eh? So if you run a restaurant, I understand that you have to play to your customer base. Just please don’t look at me like I’m a pig at an H1N1 conference if I ask for an ice bucket when you serve me a red from your wine oven. 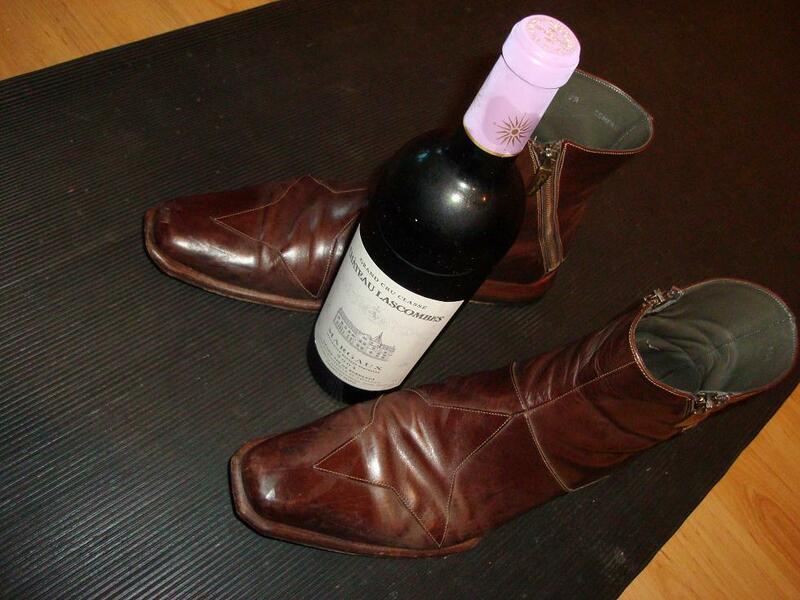 I don’t know why it has taken me so long to wander over to Berry Bros & Rudd wine blog. I found it quite refreshing actually. That sounds condescending because it implies that I expected it to be all stuffy and “establishment”. But it’s a right interesting read, much more in the tone of enthusiast than salesman. You might want to wander over right now and express your opinion on a hot topic. BBR is running a poll on cork vs Stelvin. We’ve all seen screw caps on our Kiwi Sauvignons for donkeys’ years, but what about top claret? I’ve added the site to my blogroll. And by the way, I voted for screw cap. I wonder if they will one day run a poll on my WART campaign? Red sparkler? Are you having a laugh? When I poured this Shiraz from the Lynn family in Coonawarra, it held all the promise of a Heston Blumenthal raspberry sorbet. Alive fizzy and erm…raspberry coloured. But it disappointed badly. A heavy wine with some cherry and banana but slightly stale like old cornflakes. Champagne is about sparkling clarity. The sort of brightness that streams in through your bedroom window on a Sunday morning in August, when a little bit of bedroom gymnastics is on the cards. This was dull as dishwater and wouldn’t have even made a Chippendale stand to attention. However, in fairness, I think it is simply past its best. My mate JJ who graciously brought it over (and hopefully doesn’t mind me writing so ungraciously about it) has probably stored it in an airing cupboard for a few years which, one assumes, might not have helped. I’ll try another (younger) bottle one day. According to Haircut 100 in the 1980’s, my favourite shirt was “on the bed”, but it didn’t encourage me to do a somersault on my head. Another musical/clothing misnomer came from Scottish warbler, Paolo Nutini who extolled the virtues of new shoes. I think most readers will agree that old shoes are infinitely superior. Only Oliver Sweeney makes mens’ shoes that fit quickly but they are bloody expensive. Most Northampton based shoemakers require a 3 month run in period and an oil change. Other brands simply expire within that period. So we are left with our old favourites. Comfortable and reassuring. Loyal friends, whose passing we mourn like a childhood pet. I am always looking for awkward wine/food matches like boiled eggs, beans on toast, and chicken massalla. I’ve just hit the jackpot with the latter having grabbed this Tannat based wine on a rare visit to Nicolas.